Disclosure: I received a complimentary subscription to EasyKicks to facilitate this review; all opinions expressed are my own. We've had a bit of a dilemma in our household: teaching my 6 year old Nia to tie her shoes. We've been working on it since Kindergarten, and I've troubleshooted showing her different methods (I still remember my mom showing me how to "make two bunny ears!"). 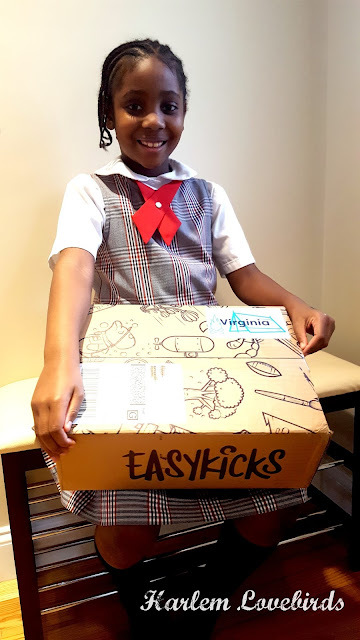 When EasyKicks reached out to me about their subscription service for kids' growing feet, I looked at their stylish options and thought that it might just be the motivation for Nia to finally figure out how to tie her shoes. What's EasyKicks? 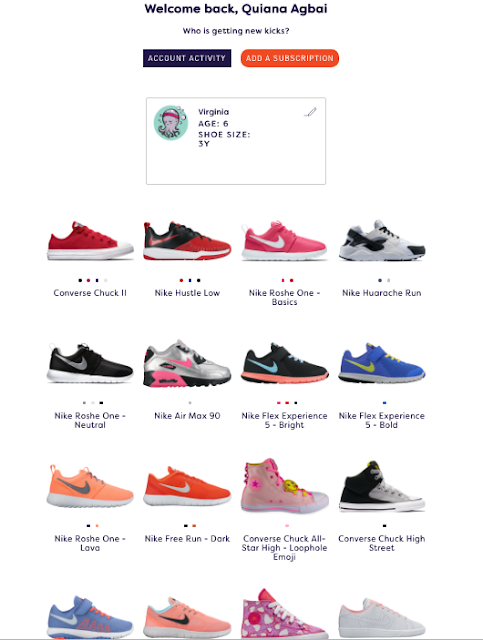 It's an on-demand sneaker club for fast growing kids that delivers stylish Nike/Converse sneakers right to your doorstep allowing you to trade them in for a new pair when your kids outgrow them or desire a new style. With how quickly kids' feet grow plus with the changing fashion trends it's such a good idea! Sizes are available for toddlers too. 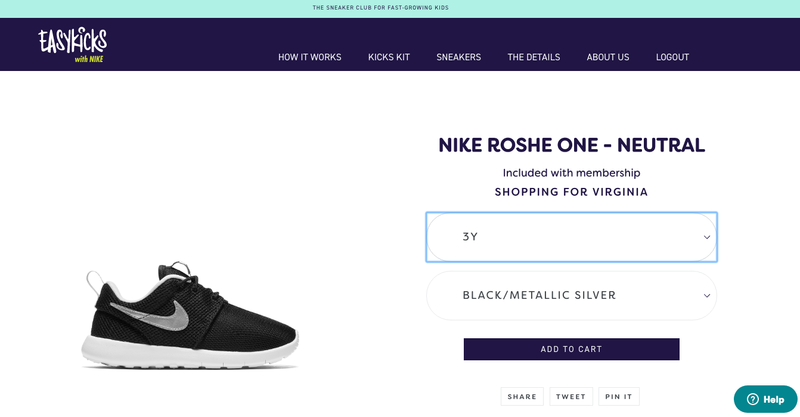 Setting up an account on EasyKicks website was easy and their offerings for Nia's size were cleanly displayed. I decided to pick a pair for Nia as a surprise to help motivate her to learn to tie her shoes. She was thrilled to see her name boldly on her EasyKicks Kit especially since she's always on the lookout for personal packages. Inside the box was a pre-paid, sturdy envelope and stickers - a fun bonus especially to share with little brother. 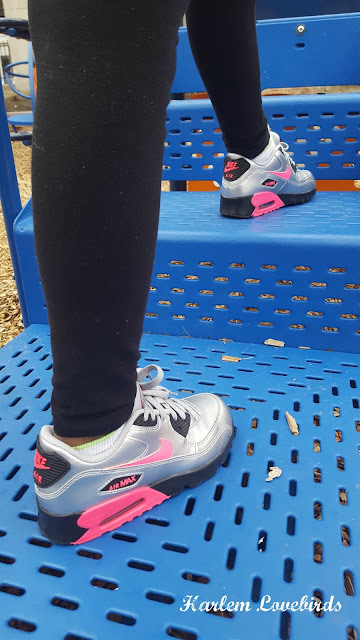 Nia loved the "cool colors" of her new Nike Air Max 90s - I'll admit I picked the hot pink accents cause they that shade is a throwback 90s fave of mine! No need to worry about those laces! 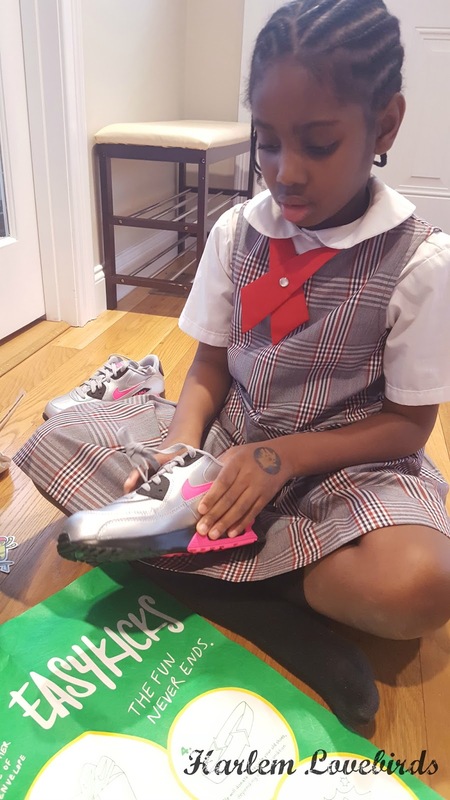 When Nia realized her new shoes had laces her face fell, but I told her she'd be just fine. 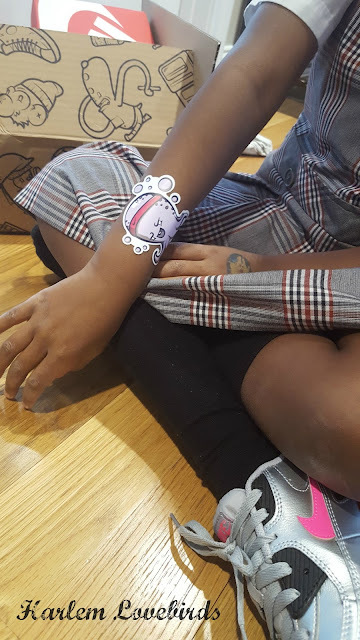 Uka and I decided to turn to the powers of YouTube with a kid doing a demo of lacing up and after a few tries she nailed it. 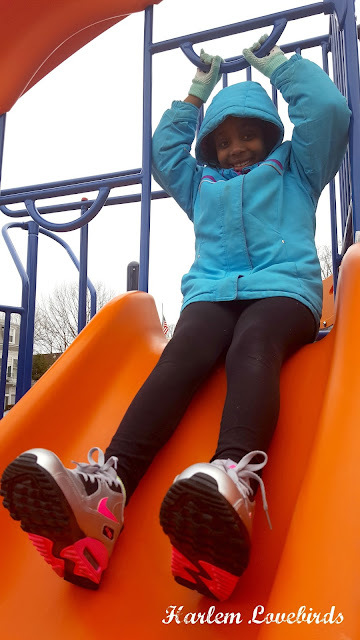 We took our EasyKicks around the neighborhood to test them out and she even wore them to school - although the kids wear uniforms they wear sneakers since they're always on the go. Changing up her style with EasyKicks is a fun way for her to show her personality. I'll let her pick her next pair when she's ready and they simply go back in their pre-paid package with another pair in queue. She's not ready to send this pair back quite yet! You can add multiple kids to your EasyKicks account and rather than trekking to the store to keep on top of latest styles and growing feet, it's a great way to save money and time. 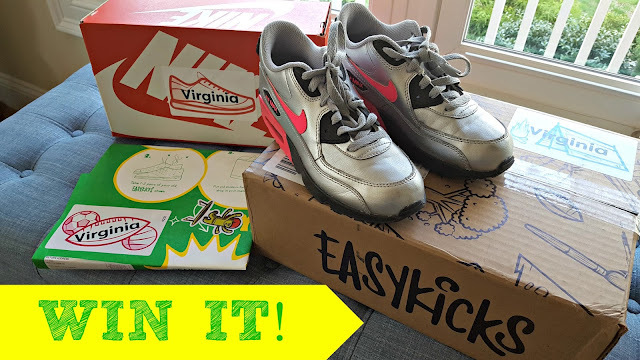 There'a a green component of EasyKicks: while the pair of EasyKicks your kid receives are always brand new, never used, they donate gently used pairs to good360.org and more worn pairs to the Nike Grind Program, more info here: https://www.easykicks.com/pages/rethinking-recycling. Love it!